Home / Home & Renters Insurance / How Much Home Insurance Does A Mortgage Lender Require? How much home insurance does a mortgage lender require? If you're house hunting, or found your dream home already, you may be wondering: Do I need to buy insurance before closing on the house? Homeowners with a mortgage must buy home insurance. Mortgage lenders want you to protect your house in case there are catastrophic losses. They lent you money so you could buy your home and they still own a piece of it. They want to make sure you get enough protection so they won't lose out if your home is destroyed. Homeowners without a mortgage don't need home insurance. This is different from auto insurance, which nearly every state requires. That said, it's still a wise decision to have coverage, so your likely greatest asset is protected. Before we go into what mortgage lenders require, let's first look at home insurance policies. Home insurance covers damage that's caused by fire, hail, lightning, vandalism and other covered perils. Dwelling: This pays you to rebuild or repair your home if it's damaged by a covered cause of loss, such as a fire. Personal property: This covers what's in your house, such as furniture, clothes and electronics. Loss of use: This helps pay your additional living expenses if you need to leave your house after it's damaged and while it's being fixed. Liability: This covers you if you're sued or receive a claim against you or a member of your household. This could be because of causing bodily injury or property damage outside your property. Other structures: This covers detached structures, such as garages, fences and sheds. States have standard minimum auto insurance requirements, but it's not that easy for home insurance. As we mentioned, states don't require home insurance if you paid off your home. Mortgage lenders require dwelling and liability coverage if you have a mortgage, but the actual minimums depend on state law and company policy. There is no minimum coverage like auto insurance per se, said Elizabeth Enright Phillips, financial coach at Running Creek Co. in Lancaster, Ohio, and former licensed property & casualty insurance agent and claims adjuster. "There isn't a way to say 'this is a dollar amount minimum' because of the wide variations of risk factors," Phillips said about a lack of standard minimum requirements. Different lenders have entirely different requirements depending on the location, building codes, type of home, etc. Mortgage lenders' primary concern is that your home insurance protects against anything that can damage your (and their) asset. The lender cares about the home, but doesn't take into account the land, your belongings or other buildings on the property. Phillips said mortgage lenders usually base the required level of dwelling coverage on square footage, local building cost data, type of home and may even use purchase price as a factor. Mortgage lenders want to make sure that your home is covered enough so that if it's damaged, it can be replaced back to its current state and value. "A mortgage company is going to look at square footage of the home and how much it will take to rebuild the home at that square footage at that particular location in that market," Phillips said. "It varies by mortgage company what they are going to consider as adequate coverage." Mortgage lenders also require liability insurance. Liability insurance protects you if you're sued. Since your home is likely your most valuable asset, a plaintiff may go after your home. Since a mortgage company has a stake in that asset, it will require at least a minimum level of liability coverage, which starts at $100,000. Once the homeowners policy is in place, your mortgage lender likely won't make changes to the policy. All they care about is that the homeowner doesn't let the insurance lapse. If you wind up taking out a second mortgage on your home, you will likely face less stringent requirements for homeowners insurance. The second mortgage lender has less interest in the house and figures that you already have the required coverage from your first mortgage. A mortgage lender may require additional coverage if your home is considered a risk. For instance, if you're in a flood zone, the bank may make you get flood insurance. A regular homeowners policy does not include flood insurance, but if you live in a flood zone, your mortgage company will likely require that coverage. The Federal Emergency Management Agency (FEMA) offers flood insurance. The cost of a policy depends on your home's risk. So, if you live in a place not prone to flooding, you may pay less than $200 a year. Homeowners pay much higher premiums in a high-risk area. Other types of additional hazard coverage include earthquake and hurricane insurance. Those disasters are not covered in standard homeowners policies So, if you live along the Florida coast or near a fault line in California, your lender will likely require that you get additional hazard coverage. You should go through a process with your insurer or broker to figure out how much it would cost to rebuild your house. Factors that play into that include local construction costs, square footage and size of the home. Your mortgage lender will go through a similar process. 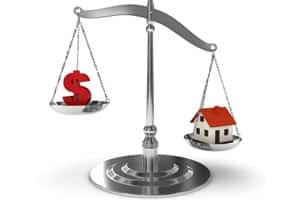 Insurance Information Institute suggests one way to figure out how much homeowners insurance you need is to multiply the total square footage of your home by local, per-square-foot building costs, which you can get from your realtor, builders association or insurance agent. That's the easiest way to figure out the cost to rebuild your home, but there are additional factors that will impact price, including the type of home and materials, special features like fireplaces and number of rooms. Home insurance covers your belongings. A policy usually provides between 50% and 70% of your home's worth for contents coverage. A mortgage lender doesn't have a stake in your personal belongings so won't require this coverage, but you should still make sure you have enough coverage to protect your home's contents. It's a good idea to take an inventory of your home's possessions to see whether you may need more insurance to replace those items. Make sure to think about all of your expensive belongings, including electronics, jewelry and artwork. You can buy additional coverage if your regular homeowners policy doesn't cover enough for your personal property. Liability insurance is the part of the policy that protects you against lawsuits and claims involving injuries or property damage caused by you, family members or pets living with you. A standard homeowners policy may start at $100,000 worth of liability insurance. That's likely not enough. The specific amount you need depends on your situation and assets. If you own multiple homes in high-value property areas, you'll need more liability insurance than if you don't have many assets. Most insurance experts recommend at least $300,000 liability coverage. Depending on your assets, you may even want to look into umbrella insurance, which offers additional liability coverage up to $5 million. What you pay for home insurance will depend on where you live, the amount of coverage you choose, the type of material your home is made of, how much of a home insurance deductible you choose, among other things. To get an idea of how much homeowners insurance costs, use Insurance.com's average home insurance rates tool. It shows rates by ZIP code for 75 different coverage levels. Is home owners insurance a requirement? Home insurance isn't required if you already paid off your house. That doesn't mean you should drop coverage as soon as you pay off your mortgage though. Your home is likely your biggest asset. Losing your home in a fire or storm could result in becoming homeless. Also, home insurance protects you against calamities like flooded basements and water damage from a leaky roof. The costs to repair those problems can add up, so having home insurance is an important piece of homeownership. Make sure to shop around and get quotes from multiple home insurance companies. Get quotes using the same level of protection, so you get an apples-to-apples comparison. Also, check into the company's reputation and read consumer reviews. An excellent place to start is checking out Insure.com's Best Home Insurance Companies.